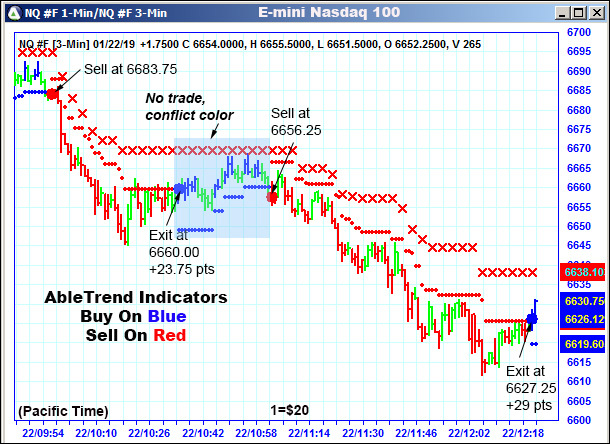 AbleTrend provides time-tested winning signals which can help you to turn volatility into low risk opportunities. 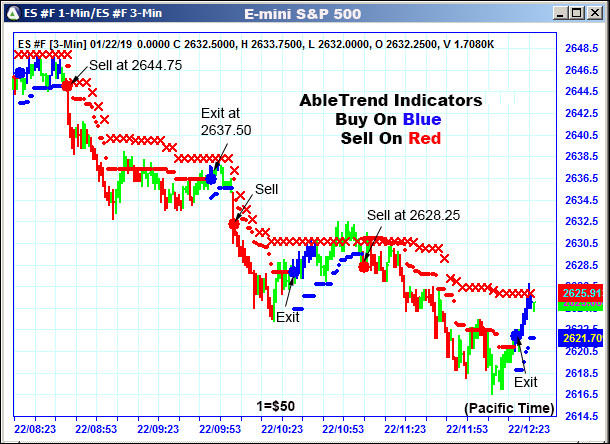 Here are today’s NQ and ES daytrading charts with AbleTrend indicators 3min/9min guidance charts. 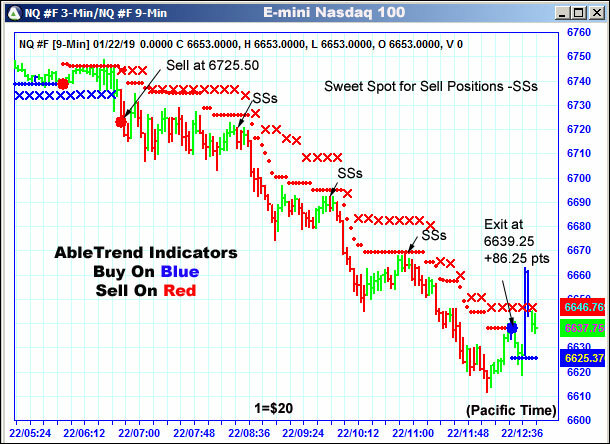 It’s simple to use, buy on blue and sell on red as long as there aren`t any support or resistance dots blocking its path. 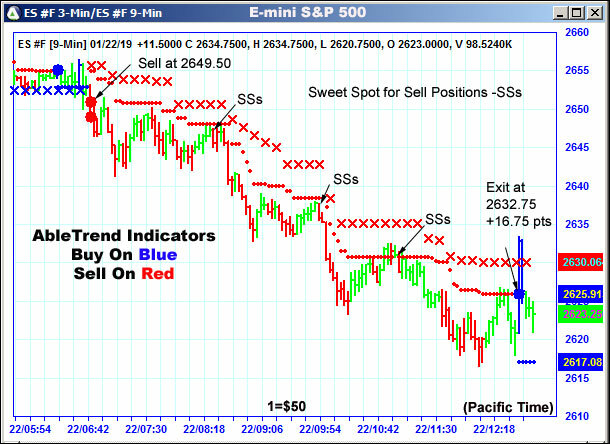 Best of all, signals are reliable and consistent. You can trust AbleTrend signals because once AbleTrend signals are generated and the bar is closed, the signals will not change in the future. Risk free trial is on sale now.